An escaped convict falls in love with the woman who nurses him back to health, but their relationship seems doomed from the beginning. 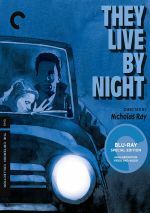 Best-known for 1955’s Rebel Without a Cause, director Nicholas Ray made his feature film debut via 1948’s They Live By Night. Along with fellow inmates Chicamaw "One-Eye" Mobley (Howard Da Silva) and Henry "T-Dub" Mansfield (Jay C. Flippen), Arthur “Bowie” Bowers (Farley Granger) escapes from incarceration. Bowie resided in prison due to s murder conviction, but this may be an unjust punishment. To raise funds for a lawyer, he participates in robberies with the other escapees. Along the way, Bowie gets injured, and he takes refuge with Mobley’s niece Keechie (Cathy O’Donnell). She nurses him back to health and they fall in love as they try to avoid the long arm of the law. Going into Night, I had high hopes. I’ve enjoyed the smattering of Ray’s films I’ve seen, and I like efforts in the film noir genre, so I figured it would deliver a compelling tale. And it does – for a little while, at least. The movie’s first act does pretty well for itself, partly due to a relentless lack of sentimentality. Night brings us a fairly stark tone that brings a hard-bitten air to the tale and lets us invest in its characters without cheap emotional content. As the movie progresses, though, it treads a goopier lane and loses a lot of the dark energy that initially carried it. In particular, the relationship between Bowie and Keechie feels sappy and doesn’t really connect to the film’s more cynical parts. This becomes a jarring shift, as Night continues to intermix the battling elements. It favors the smoochy romance between the leads, but it throws in occasionally crime-related elements in an awkward manner that doesn’t fit. It’s really the connection between Bowie and Keechie that makes the movie a tough one to swallow, though. Frankly, I don’t think Granger was much of an actor. While he did okay as a naïve pawn in Rope, he left a void at the heart of Strangers on a Train, and he seems fairly unbelievable as the burgeoning criminal Bowie. Actually, Granger works fine in the first act, parts of the film during which Bowie comes across as a semi-helpless innocent. However, the character needs to toughen up as the story progresses, and Granger can’t pull off this more callous attitude. Keechie goes in the other direction, as she moves from a rough-hewn attitude at the start to a more warm, optimistic take. Like Granger, O’Donnell does well early in the film, but she loses steam as the character turns sappy. Maybe it’s not the actors I should blame – perhaps Ray brings out these problems himself. The director just doesn’t seem to know what to do with the movie’s more sentimental moments, so while he adds zest to the edgy scenes, the romantic ones – which come to dominate – feel half-hearted. All of this leaves They Live By Night as a mixed bag. Aspects of the film entertain but the movie tends to sputter as it goes. The end result leaves me moderately cold. They Live At Night appears in an aspect ratio of approximately 1.37:1 on this Blu-ray Disc. The transfer defied its age and looked very good. Sharpness appeared nicely tight and distinctive most of the time. A smidgen of softness occurred, though I didn’t think those concerns became problematic, as the definition was fine most of the time. No issues with shimmering or jagged edges occurred. Despite the film’s advanced age, source flaws were non-existent; this was a clean presentation. A good layer of grain appeared, so I didn’t suspect significant noise reduction. Contrast was strong, as the movie consistently maintained a nice silver tone. Blacks were deep and firm, while shadows were smooth and well-defined. Overall, this was a fine presentation. While not in the same league as the picture, the LPCM monaural soundtrack of Night also worked well. Speech seemed reasonably accurate and distinct, with no issues related to intelligibility or edginess. Music came across as fairly bright and lively, though dynamic range seemed limited given the restrictions of the source. Effects were similarly modest but they showed good clarity and accuracy within the confines of nearly 70-year-old stems. This was a more than adequate auditory presentation for an older movie. As we move to extras, we open with a 2007 audio commentary from film historian Eddie Muller and actor Farley Granger. Both sit together for this running, screen-specific look at cast and crew, the source and its adaptation, sets/locations, and various production notes. For the movie’s first act or so, Muller largely acts as a moderator, one who attempts to elicit memories and insights from Granger. This doesn’t work, as Granger tends to offer only general thoughts, with an emphasis on what a great director Nicholas Ray was. In the face of this fairly banal material, Muller changes tone and dominates the commentary for its final hour, and those portions work better. Muller still draws out the occasional memory from Granger, but the film historian does the heavy listing and turns this into a fairly informative chat. It never becomes great, but after a slow start, the commentary satisfies. Also from 2007, we get The Twisted Road. This six-minute, 10-second featurette includes notes form critic Molly Haskell, filmmakers Oliver Stone and Christopher Coppola and film noir experts Alain Silver and James Ursini. The featurette offers a rapid-fire look at various cinematic techniques, aspects of the production and thoughts about cast/crew. While it includes a lot of subjects, it runs through them too quickly, so we don’t get a lot of detail. A 2017 piece, critic Imogen Sara Smith offers a 20-minute, 53-second interview. She discusses the source novel and its adaptation, Nicholas Ray’s life/career and work on Night, cast and performances, themes and genre areas. Smith presents an involving conversation that touches on the subject matter in an intelligent manner. From 1957, an audio piece with producer John Houseman goes for six minutes, 36 seconds. He covers aspects of his career and work in this short but engaging chat. Finally, we get a booklet. The foldout affair mixes photos, credits and an essay from critic Bernard Eisenschitz. As usual, the booklet becomes a nice addition. When it indulges in its thriller side, They Live By Night satisfies, but the movie loses its edge as it goes. This proves to be a problem, as the sappy, sentimental tone seems unconvincing. 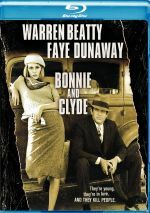 The Blu-ray offers very good picture as well as adequate audio and a mix of mostly useful supplements. Though not a bad film, Night does disappoint.